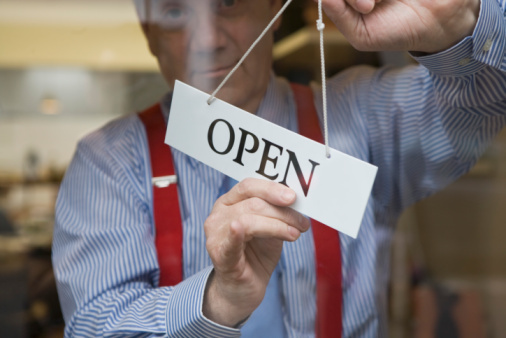 While most people are busy shopping, decorating and celebrating during the holidays, many small business owners are focused on attracting new customers and securing repeat business to end the year strong. Here are five ways that you can focus on improving business during the holiday season, and tips on how to continue these activities even after every gift has been opened and the leftovers are gone. 1. Encourage referrals at holiday gatherings. With holiday parties, family celebrations and work soirees, the holiday season means a lot of small talk at festive get-togethers. This can be a great opportunity to get the word out about your business. If you're a landscaper that offers snow removal services, the owner of a beauty salon that offers great haircuts for the holidays or an accountant seeking to get ahead of tax season, your business may come up in conversation. Make it easy for your existing customers to recommend your business by sending them a quick note and a first-time offer they can share with their friends and family. How to keep it going: Send a follow-up email to your customers after every completed job or sale with details about your products/services, rates and referral discounts that can easily be forwarded to their contacts. Also set aside time each week to maintain your contact list of customers. An accurate and informative contact list is one of your most powerful marketing tools. The investment you make each week will pay off when you want to send a special promotion or reach out to your best customers. 2. Get mobile. It's the most wonderful (and busiest) time of the year - make it easy for consumers to find you online while they're on the go. The majority of small business owners don't have a mobile-optimized website (90 percent), so now is the time to make sure your website has "responsive design" that works on all devices. How to keep it going: Mobile search is expected to surpass desktop search for local businesses, so a mobile website is an important component of your online presence any time of year. Once you've developed a mobile website, it should be easy to maintain. Just make sure that you keep it up to date with accurate information about your business. 3. Be jolly on social media. If you've been thinking about building your social media presence but haven't made it happen, this is the perfect time to post pictures to Facebook and start tweeting your holiday wishes to your customers. If you start looking around for inspiration, it will be easy to think of creative content ideas that resonate with your customers. Post pictures that showcase your festive spirit, ask your customers what is on their wish list, or create a digital holiday card and share it with your network. How to keep it going: Include your social media pages in your email signature and on your business card so that your customers know where to find you and consistently post content, like useful tips and photos of just completed jobs, to keep them engaged. And don't forget about customer service - a third of people prefer "social care" to the phone according to a study from Nielson, so be on the lookout for comments and questions, and respond quickly and professionally. 4. Stay in touch. Ongoing communication with your existing customers is incredibly important to keeping them active and happy. Sending a holiday greeting is a great way to kick this off. Include a piece of helpful advice related to your industry so that they are more likely to open your email and, as a result, think of you in the future when it's time to book a job or make a purchase. For example, if you're a landscaper, share tips on how and when to dispose of a Christmas tree. As Dale Carnegie notes in his bestseller on business and leadership, How To Win Friends & Influence People, focusing on the other person's needs will help you be more influential. How to keep it going: Consistency is key. Develop a weekly or monthly newsletter with fresh content like seasonal tips and news related to your industry. Also send personalized messages and birthday messages. Just make sure all your communications are regular and timely; otherwise it can backfire and show sloppiness. 5. Take a break. OK, this isn't a marketing activity but you've earned it! Everyone needs some time to refresh themselves not only to be able to effectively conduct ongoing marketing activities but also to do everything else that comes with running a business. Reward yourself and your team for a great year and make sure everyone takes time to celebrate with their families. There are some businesses that can't close on the holidays because that's when customers need them most. In this case, divide and conquer. If possible, create a holiday schedule with a skeleton staff, and rotate coverage so that everyone has time to celebrate. How to keep it going: More than a quarter of SMB owners only take one week of vacation a year or just don't take off any time. Don't fall into this trap! Everyone needs a break and you'll be much more productive if you give yourself time to rest and recharge. Court Cunningham is the CEO of Yodle, a leader in local online marketing that helps its 45,000+ local business clients find and keep their customers simply and profitably. For additional tips on local online marketing, visit www.yodleinsights.com.